HDS automotive researches, tests and develops small screen digital interfaces. 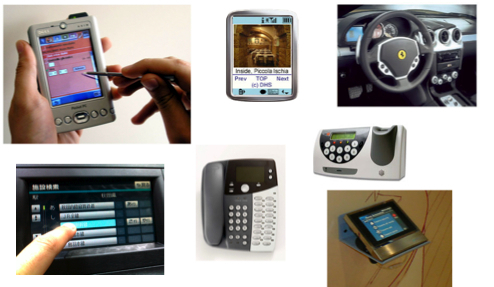 These interfaces are increasingly found on a large range of highly interactive, interconnected and mobile products from cars to smart phones and medical devices. Our intelligent interactive interfaces are designed to function for users in different mobile and fixed environments. Our mission is to enable users to bring their data and interface with them regardless of context of use.